Amitabh Bachchan photographed at an event in Mumbai. Amitabh Bachchan and filmmaker Ram Gopal Varma had a very interesting Twitter conversation on Monday. Ram Gopal Varma announced the news that he is all set to make his acting debut in a film titled Cobra, which will be made in Telugu and Hindi. Ram Gopal Varma, who will be playing the role of an intelligence officer in the film, announced his association with the project and tweeted: "Ahem! On the occasion of my birthday today, I am debuting as an actor for the first time in my career. 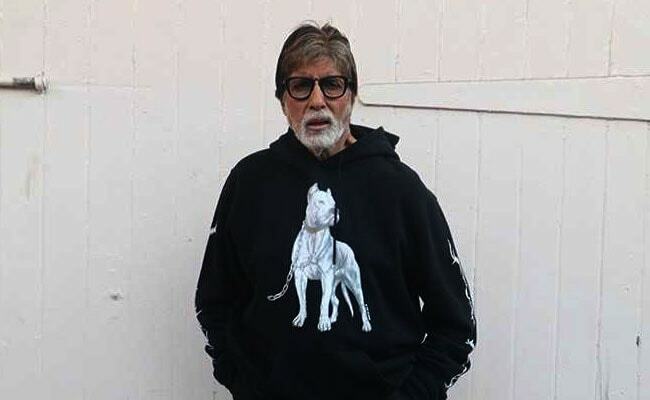 I wouldn't mind if you don't bless me," Now, Mr Bachchan, who has worked with the filmmaker in several films, couldn't help but comment on Ram Gopal Varma's post. In his post, Big B made a reference to his 2005 film Sarkar, which was directed by Ram Gopal Varma and wrote: "Finally! Ram Gopal Varma...The 'Sarkar' finds his true vocation...Acting!" Big B wished him luck and signed off the post saying, "Damn... Another competition." T 3136 - FINALLY .. !! Ram Gopal Varma .. the 'SARKAR' finds his true vocation .. ACTING !! All the best Sircaarrrrr ..
Amitabh Bachchan and Ram Gopal Varma have worked together in the 2005 hit film Sarkar, the 2007 romantic film Nishabd also starring late actress Jiah Khan, the 2007 film Ram Gopal Varma Ki Aag and the 2012 film Department, starring Sanjay Dutt. On the work front, Amitabh Bachchan was last seen in Badla, co-starring Taapsee Pannu. His upcoming projects include Jhund, Brahmastra and the Telugu film Sye Raa Narasimha Reddy.